At Family Danz, we sell only premium grade home heating oil at the lowest possible price. We’ve been treating customers like family in the Albany and Capital District area for over 30 years. Our home heating oil contains detergents to keep your heating system running clean and at maximum efficiency. These heating fuel additives reduce service calls, extend equipment life, benefit the environment and save you money. In addition to delivering heating oil, kerosene and BIOHEAT, we also sell on-road and off-road diesel to farms, construction companies, excavators and many other commercial accounts. We are so confident our heating fuel price is one of the lowest available, we publish the daily heating oil price on our website. To eliminate the worry of keeping track of your own fuel gauge and the possibility of running out of fuel at the worst possible time, we offer an automatic delivery service at no additional charge. There are many factors that are used to determine your oil consumption like the size of your house, efficiency of your equipment and your personal habits. It only takes a few deliveries for us to establish a reliable delivery schedule unique to your home. The longer you are an automatic delivery customer with us, the more accurate we become at estimating your heating oil needs. Discounted Budget and Prepayment Plans are available with automatic deliveries. If you prefer to call when you need a delivery, we recommend that you kindly contact our office when your tank gauge is between 1/2 and 1/4 full. This will give us sufficient time to schedule a delivery. Family Danz offers its customers the most competitive heating oil prices. 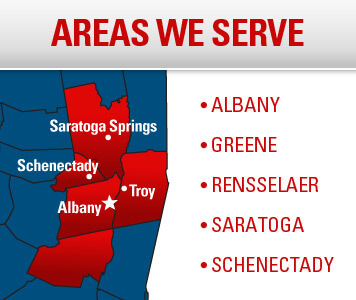 Family Danz provides Heating Oil Delivery in Albany and within a 25 mile radius. Family Danz is ready to assist you.